Pictured: Carla de Brun and schoolchildren from St Michael’s Village. Back in 2004, a group of adventurous scouts from Dublin embarked on a charitable mission to deepest, darkest Peru, with the aim of working with and helping out local scouts from the area. Amongst their number was Darragh O’Briain, the rover co-ordinator down at Donnybrook scouts (rovers are generally aged between 18 and 20 but can be older). When other scouting groups saw what was happening out of Donnybrook, they wanted to follow suit and began their own expeditions to far-flung lands. But over the years, O’Briain and his crew saw that many of the other charitable initiatives from Ireland were unsustainable, and wanted to do something different. Furthermore, Scouting Europe launched a partnership drive called “Unguvu” which sought to encourage northern and southern hemisphere scout groups to twin and work together. With that in mind, the planning stages of a new trip abroad began in 2015. O’Briain began looking for a new destination and quickly drew up a checklist. The country had to be small enough for the rovers to make an impact, English-speaking and safe. Crucially, it also had to be on the list of countries approved for Irish aid. O’Briain settled on Lesotho, a country of two million people and no bigger than Munster in size. A reconnaissance trip the same year made O’Briain even more sure that he had found the correct location. He returned and set up Lumela – Failte (Lumela is the Lesotho greeting that literally means agree) an initiative to build stronger ties between Lesotho and Ireland. He set about looking for eager volunteers, something that wouldn’t prove too difficult. In August 2016, O’Briain and eight rovers set out for the small landlocked country situated within South Africa, on a completely self-financed mission. Five of the crew were from Donnybrook: Carla de Brun, Naoise Kelly, Ellen MacMahon, Sean Fanning and Aoibhe Ferry. Ciara Keegan joined from Blanchardstown, Shane Hoare from Arklow and Niamh McCrossan from Lisburn. The intrepid rovers backpacked down from Johannesburg and arrived in twos and threes in the capital, Maseru. 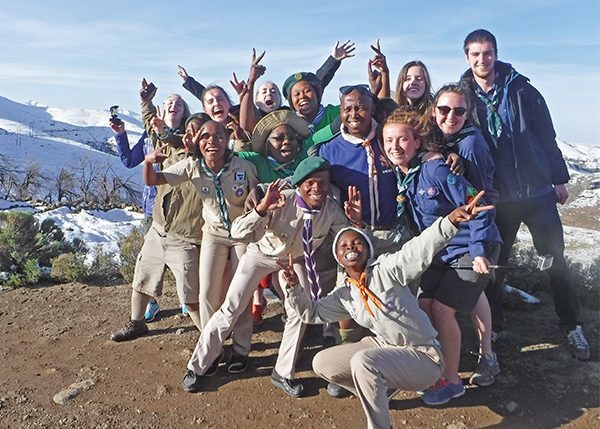 There they were met by their hosts, the Lesotho Scouts Association, and began their three-week programme. Photo courtesy Darragh O Briain. The rovers were based in St. Michael’s, a 20-acre scouting site that had no toilet. So the Irish built one, nothing fancy, bog standard if you will. They enhanced the campsite in many other ways too, installing an adventure playground, clearing out the poultry shed, clearing an area for planting fruit trees, cementing fireplaces, building an orienteering course, installing hammocks and teaching the locals how to make and sell them to generate income. They also developed a local scout programme to help recruit and retain members more successfully. O’Briain described Lesotho itself as a wonderful place. Known as the “kingdom in the sky,” the people were very welcoming. Due to its altitude there are no mosquitos and crime is minimal. Food was tasty with lots of maize, fresh vegetables and a pork barbecue speciality known as ‘braai’. The rovers were brought to the local food market and to the Lesotho version of Glendalough – Thaba Bosiu – for a spiritual sunset hike. They also visited the Mohale Dam, went to a three-hour mass and finished their trip with a weekend in a green tourism centre called Malealea Lodge. 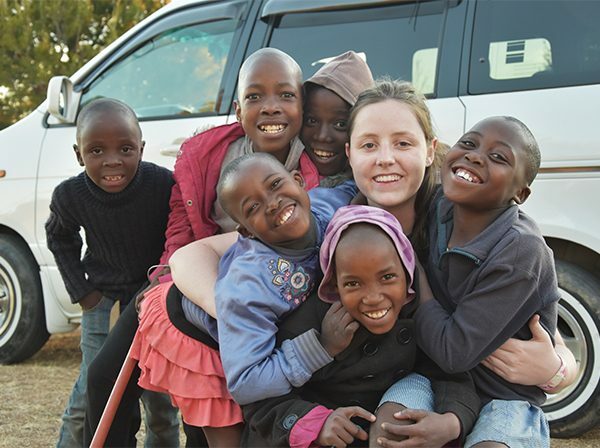 O’Briain has plans to go back to Lesotho in 2017 with a crew of 15 rovers aged between 18 and 26. They left this time with the African school syllabus under their arms and have plans to teach the local children (5 to 12 year olds) arts, crafts and music when they return. They also have additional plans to make further enhancements to the campsite and put in a plumbed toilet and shower unit. And on the other side of the scouting coin, 2018 marks the next national jamboree in Ireland when the scouts from Lesotho will have a chance to visit these emerald shores and sample some of our famous hospitality.